In weather more suited to the ducks, 5 volunteers were in attendance today. It was a matter of dodging the showers or getting a soaking and mosts of us got the latter! On Platform 2, final preparations were going on for the laying of the tarmac – due at the end of the coming week. Tim and Mick were adjusting the height of the inspection chambers to ensure a level finished surface. Here Mick is giving his Quick Draw McGraw impression – I think John Wayne can rest easy! Opposite the Station on Platform 2, I noticed that Ros and Bob Stark’s planting was coming into its own with the Japanese Anemones looking particularly colourful. On the Station Vegetable Patch John was tidying and planting up – it all looked pretty Monty Don professional. Stephen was on the cutting, strimming back the overgrowth, trying to leave things neat and tidy for the winter months. 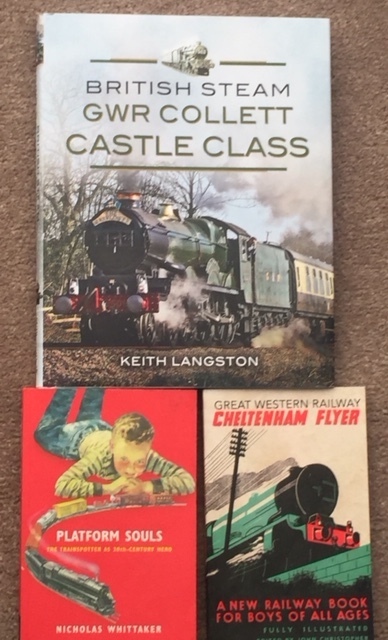 Thats about it, apart from a reminder to the CRCS visitors that much of the work carried out by the volunteers at Cheltenham is facilitated with materials bought by the Cheltenham Area Group. Please visit our Stall in the Ticket Office – any funds from sales go straight to the upkeep of the Station. Thank you! Looking very neat and tidy at Cheltenham. Well done to all, and can’t wait to see the tarmac on the platform. Next you’ll be building a waiting shelter on there! Regards, Paul.